THE RIDICULIST: Best Forecast Ever! On Sunday, when a private swearing-in ceremony will take place at the White House, Wolf Blitzer and Anderson Cooper will be joined by John Berman, Kate Bolduan, Gloria Borger, Erin Burnett, Candy Crowley, John King, Don Lemon, Piers Morgan and Soledad O’Brien starting at 10 a.m. and leading up to a prime time special at 8 p.m. Inauguration eve special editions of Piers Morgan Tonight and Anderson Cooper 360º will follow. On Monday, Jan. 21, Early Start with John Berman and Zoraida Sambolin and Starting Point with Soledad O’Brien will kick off the day’s coverage at 5 a.m. Beginning at 9 a.m., Wolf Blitzer will be joined by John Berman, Kate Bolduan, Soledad O’Brien and Jessica Yellin, live from the U.S. Capitol West Front, while Anderson Cooper will be on the National Mall with Gloria Borger, David Gergen, John King, Brooke Baldwin and Don Lemon. HLN’s Robin Meade and Christi Paul will be reporting for both CNN and HLN from the National Mall. From 7 p.m. to 10 p.m., Anderson Cooper will anchor the network’s special coverage from the Mall, with Piers Morgan and Erin Burnett from inside the inaugural balls. 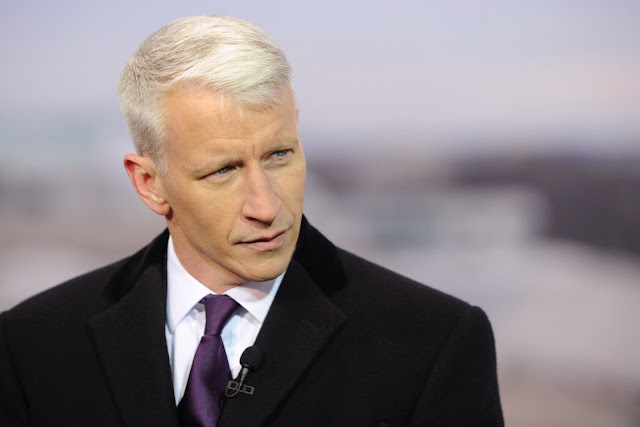 At 10 p.m., Anderson Cooper 360º will broadcast live to wrap up the day’s events. 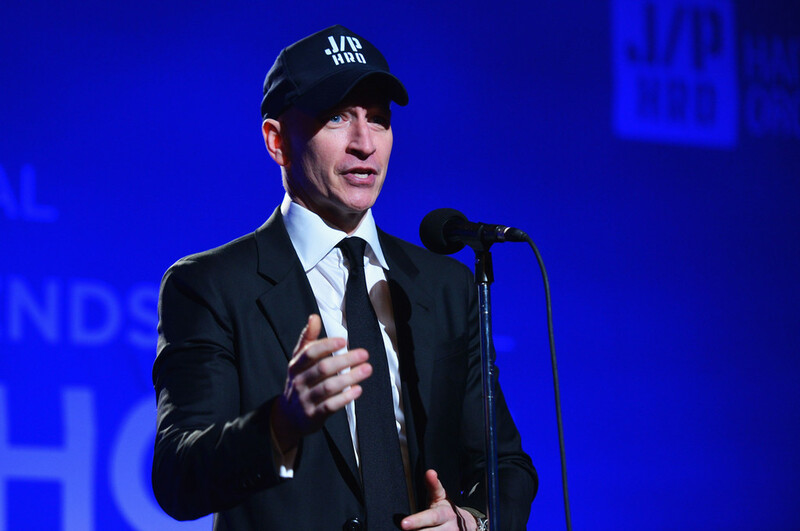 Anderson Cooper took to the podium at Sean Penn‘s second annual Help Haiti Home benefit on Jan. 12, and while he was there, he let the F-bombs fly. In context, of course. The CNN host also promised that (time permitting) he would serenade Penn with Bette Midler’s ‘Wind Beneath My Wings’ — a promise which sadly never came to fruition. Way to break our hearts with your lies, Anderson Cooper. It's been a long time since we have heard anything political from the ATA team. The NRA's statement today was absolutely disgusting, mentioning the POTUS'S children: 'Are the President's children better than yours?,' in reference to having security guards placed in ALL schools. Anything to change the conversation away from the gun lobby and their ultimate goal, not safety but profits. Something will ultimately be passed, even from this do nothing Congress. Good. Now the Obama Administration finally has their attention. I agree with Wonz about Gerg. Anderson needs to stop with the 360and just take a damn stand for what is right. Are those crazy dotted lines some kind of secret code? Some are one & a half lines of dashes, some are over 2 lines, what does it all mean? Of course the first segment was going to be about Obama's gun control proposals. 360 didn't have to show any of the new NRA commercial, Anderson just could have said "The NRA made a new commercial promoting their agenda." If viewers were interested in seeing it they could look for it online. The interview with Haller and Goddard was good as was the panel discussion. The panel was noteworthy for some excellent comments about armed school guards and for how calm and respectful Hoover was this time. I would have put the hostages in Algeria as the first story. The report on the football player and the hoax brought back memories of Monday's Situation Room. Dan Lemon was subbing and in a story about Lance Armstrong, he asked a sports writer "Why should we care?" Same question I have for this story. Drew Griffin's report about the racist hit-and-run in Mississippi was sad but not surprising. I liked the Ridiculist and all of the clips of the Oklahoma station's un-technological weather report, which was actually rather charming. I loved all of the weatherman's drawings. Don't know if he was a "weatherman" or a real "meteorolgist". When I was a kid, one of the local stations hired a real meteorologist to do the weather reports. They touted this loudly and proudly in their ads, 'We have a REAL METEOROLOGIST!!! The other stations have only a regular guy giving you the weather.' Within weeks, the other stations kicked out their regular weather guys and hired real meteorologists. However, I see on YouTube that many stations have regular joes doing the weather or any pretty girl. Around here the weather is serious business. What kind of weather folk do you guys have? I've been over Gergen's constant negativity towards President Obama for a LONG time now and was happy to see Charles M. Blow challenge and push back on him on the gun issue. 360 props Gergen up as the non-partisan voice of reason but none of his commentary in recent months has left me with that impression--it was disappointing to hear Anderson announce him as a guest--he was an unwelcome presence, imo. 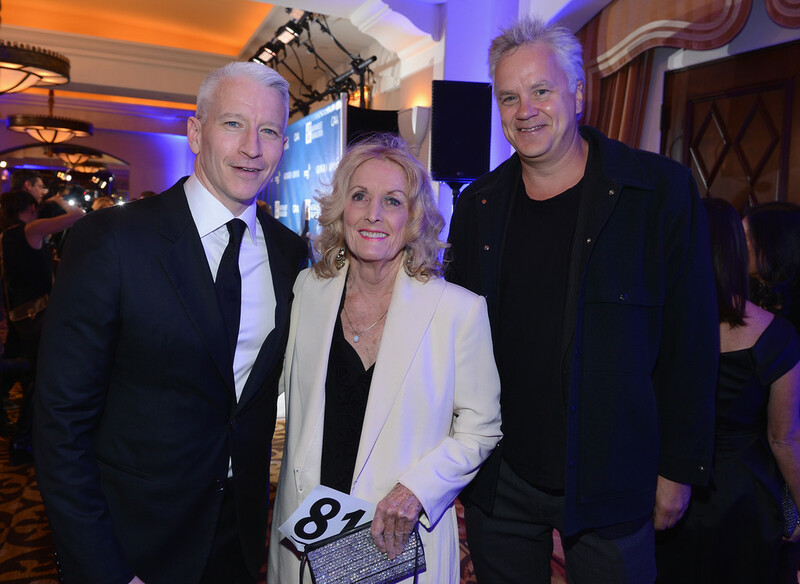 Are Anderson and Tim Robbins bff's now? lol. I also tend to agree about Gergen. The man just can't give Obama 100% credit, ever. The discussion was interesting. Personally I prefer Anderson as the neutral moderator. Piers is already doing enough partisan campaigning for the whole of CNN and even AC360 is so clearly pro-gun control (for European standards of neutral news) I don't feel they are not taking a stand. If Anderson behaves like Piers he will immediately be branded as an anti-American super liberal whatever (more than he already is by people who think he is too clearly pro gun control) and I don't see how this would do any good for his ability to communicate to both sides. So far I have not seen anything constructive coming out of Piers' debates with the extreme pro-gun lobby. Didn't care much for the amount of time they spend on that football player "hoax" but then I am not American and this is surely more relevant to others, especially people who felt bad for the guy for losing his girlfriend.